Itiesha – TACT Foster Carer since 2009. Becoming a foster carer at just 26 – as a single mum to an eight year old – might sound crazy, but I’ve never regretted it. In six years I have looked after 16 children, aged between eight and 18, and it’s the most rewarding thing I have ever done. My own childhood in Guyana was difficult, with domestic violence and instability, until my Aunty Muriel brought me to the UK when I was 10. I’d always wanted a family of my own and fell pregnant at 18 but the relationship with Sophia’s dad ended when I was 23. Life as a single mum wasn’t easy, but I wanted to give other kids the same love and support my aunty gave me, I knew how one person can change a child’s life. In 2008 I signed up with TACT and began the rigorous vetting process. In early 2009, after endless checks and interviews, I was both ecstatic and petrified to finally be approved. We live in a four-bedroom house so I can have more than one child at any time and I get paid an allowance for each one. There have been ups and downs – some kids have special needs, some are violent or swear a lot – but the rewards always outweigh the downsides. One girl had repeatedly run away from every other foster home, but stayed with me for a whole year. Then there was a 16-year-old boy who was so nervous, he wouldn’t even walk to the bus stop alone. Two years later, he was brimming with self-confidence. At the moment, we’ve got a boy of 11 who has been with us for three years. He has complex emotional needs and, in the beginning, was very destructive, lashing out and breaking things. It was hard for Sophia to witness but he’s so much calmer now. She considers him a brother and we couldn’t imagine life without him. 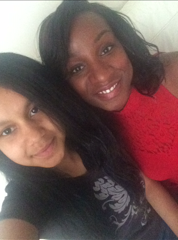 It can’t have been easy for Sophia to share her mum and her home, but she’s never complained and has grown into a compassionate young woman. I couldn’t have done it without her. Helping a child blossom is a wonderful thing, and I consider myself blessed to play a part in it.